The renowned extreme sports town in France has placed a six-month moratorium on wingsuit flying following its fifth wingsuit fatality this year. Chamonix mayor Eric Fournier placed the temporary ban on the sport after a professional Russian wingsuit jumper, Ratmir Nigimyanov, 32, crashed into a chalet and was killed, according to French media outlets. Nigimyanov’s death marks the fifth such fatality in Chamonix this year. It is the 35th death for the sport overall, making 2016 the deadliest year for wingsuit fliers to date. The news is the most notable reaction to what has become a grim chapter for the sport. The ban does not appear to affect BASE jumping with a parachute. BASE, an acronym for building, antenna, span, and Earth, jumping is inherently risky. Jumpers reach speeds well over 100 mph and unlike their skydiving counterparts, who jump from thousands of feet higher, BASE jumpers have a very small window to deploy their chute and slow down. Wingsuit BASE jumpers add an element of flight to the sport. Cutting-edge aero suits with wing flaps help steer their fall. Often this means soaring within feet or inches of cliff faces and other structures. 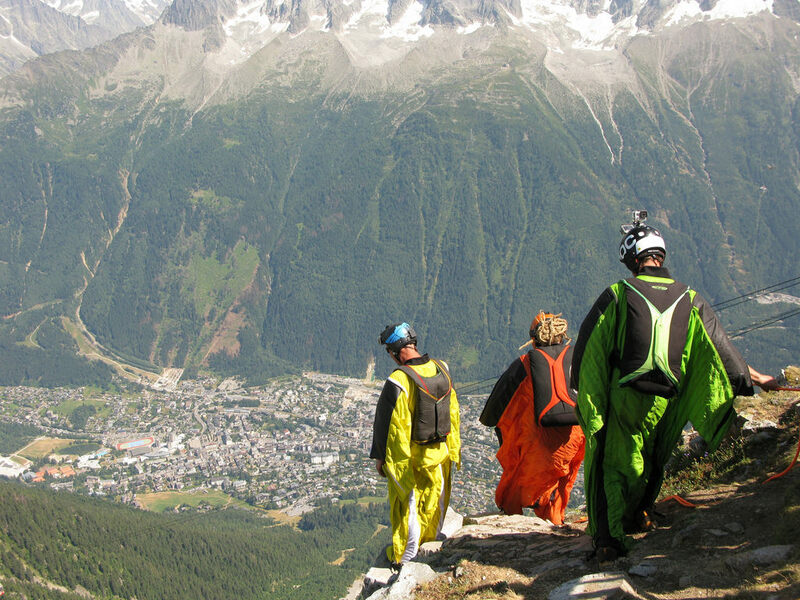 The French Alps are a popular wingsuit destination, but Chamonix’s ban could have long-lasting ramifications for a sport that has been largely unregulated to date. Imagine yourself standing on the edge of a vertical face by perusing this category. Cliffs, Mountains, and buildings: watch these pros huck ledges and discuss BASE jumping.